Ever dreamed of having your website, but this sounds complicated ? Vitrine Facile allows you to modify your web site yourself showcase unconscious. We propose a human service, accessible to all, and we make it a point of honor to accompany you throughout your project. For peace, we support all the steps for filing and different configurations of your domain names. Your site can be operational in less than 24 hours ! Setup and hosting of your website showcase. 1 domain name : fr, com or .net (other contact us). At least one email address. A course taught by our computer expert in order to control the administration interface. From 19,90 € / month. Create customizations depending on the period you have chosen, such as changing the logo for Christmas, the background color for Halloween, etc. Automatic adaptation of tablets, phones and computers. The delivery system is not overloaded and therefore easy to handle. The possibility of having a multilingual site with automatic language detection of the user's browser. Site complies with W3C standards (international consortium - web coding). Full support for your website, domain name, hosting, setting up the site on the web, as well as the overall design. 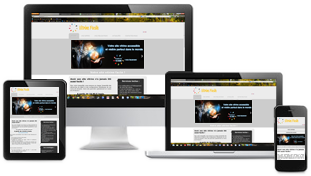 Vitrine Facile highlights your services on any type of media (tablets, phones, computers)'s famous responsive WebDesign. Try it for yourself by reducing the width of your browser. You will see the headings, images, etc. adjust automatically for optimal reading comfort on any type of display. We performed this service for you from the constraints and limitations imposed by some web agencies. We offer you complete freedom over the content of your site. No need to be an experienced webmaster to manage its site.